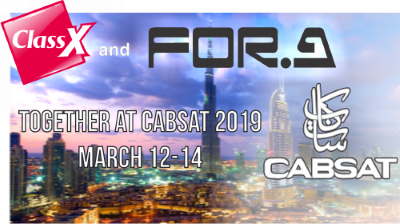 Together again at Cabsat 2019, ClassX and For-A presenting their new solutions! ClassX again at BVE in London! Also this year, ClassX was present at London's BVE show with For-A. 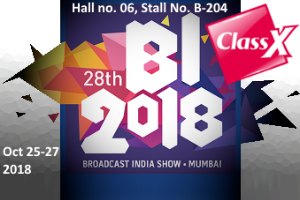 Welcome again in Mumbai by the end of the month of October, 25-27, when ClassX will partecipate at this year's famous and richly polulated Broadcast India Show. As in the past years, ClassX is hosted by their partners CDM Technologies. Hall number 6, Stall B-204. Thanks for all folks who came to visit us at this year's IBC show in Amsterdam! 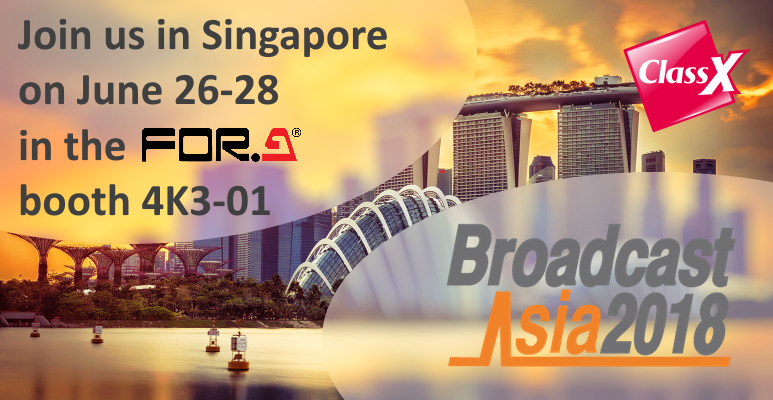 ClassX will again be in Singapore for BCA 2018, again thanks to the precious collaboration with For-A. 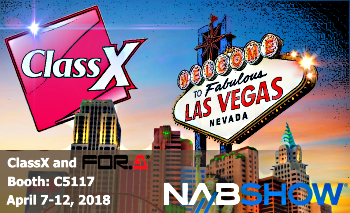 NAB show in Fabulous Las Vegas has again seen ClassX in firm collaboration with For-A at the For-A Booth. ClassX presented the Pro and the Mobile solution, real 4k graphics and the overall versatility and adaptability of its products. 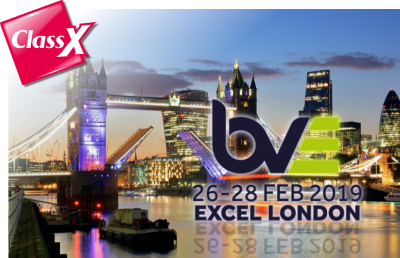 ClassX for the first time at BVE - London 2018! ClassX staff fights the Beast From East and participates at London's BVE show, together with For-A. 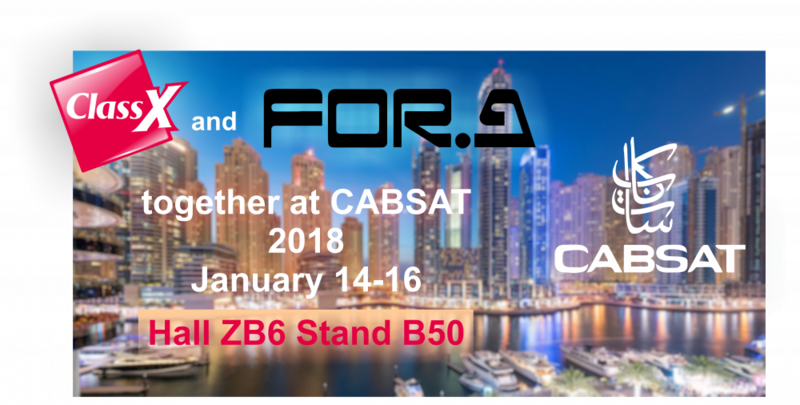 Together again, ClassX and For-A will be at Cabsat 2018 presenting their integrated solutions. 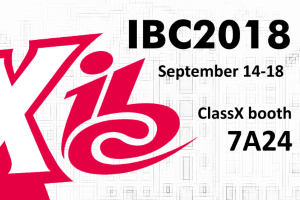 Come join us and try ClassX Broadcast Applications 6.2!